Ray means the radiating light from the Centered Sun. But not the physical Sun, it is the spiritual Sun or the Universal Sun. The “Sun” is a metaphor for the Creator/ Universal Consciousness which comes forth into the manifested universe. It is a Divine Principle, it is Life itself. There is the One Infinite Mind and Consciousness. The physical world and all of life is the manifestation of the One Infinite Mind. It is unknowable and undefinable because we are only fragments of the One Infinite Mind. But through its effect we can see its existence. It is everywhere, it is alive, it is nature. In theosophical teachings, this One Infinite Mind is called the Logos and it is the Universal Energy of life and light of the Universe. The Universe we know is a cycle of beginnings and ends. Life is not eternal. It is a cycle. It has a beginning and end with a definite time period. Then a new evolution begins again and has been done so for eternity. When the Bible speaks of the 7 Days of Creation, it was not speaking “Days” according to human time. How long is 7 days in eternity? One day = 4,320 million years. So we are looking at trillions of years into the making. It is why “The Present” is ever so powerful because your past and future is Today, according to the Universe’s perspective. From the “Sun” radiates the 7 rays of light from the centred core. Each ray contains a different colour which represents different levels of frequencies. Each levels of frequencies are a different form of energy. If you look at a prism, you’ll find that white light is the combination of the 7 visible light spectrum. The 7 rays are the prism of the Spiritual Sun which emanates from its core. The seven rays is an occult concept that has appeared in several religions and esoteric philosophies, since at least the 6th century BCE, of the Aryan peoples in both Western culture and in India. In the west, it can be seen in early western mystery traditions such as Gnosticism and the Roman Mithraic Mysteries; and in texts and iconic art of the Catholic Church as early as the Byzantine era. In India, the concept has been part of Hindu religious philosophy and scripture since at least the Vishnu Purana, dating from the post-Vedic era. The 7 Rays has been known for thousands of years by the Upanishads and Hinduism. It is where our hidden powers lies. 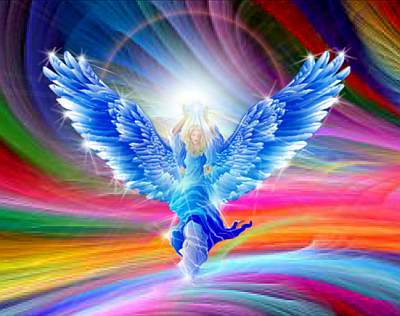 When we harness them, we are harnessing the powers of light and raising our spiritual consciousness. Pythagoreas was the first Greek in late 6th century B.C. to introduce the word “Philosophy”Light. When he left to travel, he realized that the major religions all had One primary god and the holy 7 helpers who accompanies the One. The fundamental beliefs were at the heart of every ancient systems who knew not of the other. When we think of the Mystery School, we think of gurus and mystics. The ancients had advanced scientists who were multi-knowledgeable in astrology, mathematics, geometry, alchemy, medicine, architecture, harmonics, geology, etc. At the core, their spirituality was highly practical. They all believed that the “Sun” was considered to be the eternal source of life. The Sun = One Infinite Mind/ Creator. 7 Helpers = wavelengths of visible light. In other teachings, it is known as the 7 Hierarchies of Dhyan Chohans, the 7 Planetary Hierarchies, the 7 Sacred Planets, the 7 Gods, the 7 Dhyani Buddhas, the 7 Kumaras, the 7 Holy Immortals or the Amesha Spentas, Buddha’s 7 Treasures, the 7 Archangels, and the 7 Elohim. From here the ancients used the Principle of Correspondence to unlock the spiritual power of the human soul, the nature of reality, and our deeper psychology. The 7 Fold of Creation is found in all the parts of life and it is where you can awaken your powers within. The ancient scientists discovered that we reflect the 7 rays of light in our body and applied the principles to harness them. The Universe have 7 invisible forces that makes up Life. These are the 7 energetic patterns that we need to master thyself. Each ray is a distinct state of consciousness with distinct powers. We are, first and foremost, beings of light, created by light and reflected by the 7 rays of light. Our light body is known as the invisible layer behind the physical body – the etheric body. It is important to know that, though brief, each is a description of a soul type. In truth, the Seven Rays condition all levels of human existence, including the various aspects of one’s personality (lower-self). In fact, all of the rays condition each of us. Ray differences between people are related to the vehicle of consciousness that a ray is working through. For example, a particular ray may condition an individual’s emotional nature. Yet, for another person that same ray may instead condition the mental body of his/her personality. Nonetheless, for the purpose of introducing the Seven Rays, describing them from the perspective of the soul seems most fitting. The intention of this Ray is to reveal the Purpose of Divinity within the human kingdom. All life is evolving, and it is the objective of this Ray to supply the power and direction to this evolutionary movement. Therefore, the function of the First Ray Soul is to express the power of divine purpose through loving strength and one-pointed vision. Its role is to shatter those forms that no longer adequately express the Love of God. In the ancient records, this great ray was called The Lightning which Annihilates, for it liberates Divine Life from outworn modes of outer expression. And, by so doing, frees Life so that it may seek new forms through which to express itself more radiantly. The Second Ray conditions life with Divine Love. Its role is to reveal the unity that underlies all apparent diversity within creation. Love, as revealed through compassion and understanding, is how this ray is expressed for those whose souls are conditioned by it. It is the ray of inclusivity, and relates all things to each other by revealing the love that underlies outer events. One of the ancient names for this divine radiation is The Cosmic Magnet, for it attracts all unto itself. Although all the rays are crucial to humanity’s development, none are of greater importance than the Second Ray. For according to ancient record, it is this ray that governs the life of our entire solar system. The Third Ray relates to the expression of Divine Intelligence. Essentially, it is this ray that provides the underlying intelligence in all of nature. With respect to the human kingdom, it is the force that animates human thought. Its purpose is to reveal the Mind of God within the consciousness of humanity, as well as to give spiritual understanding to all human activity. 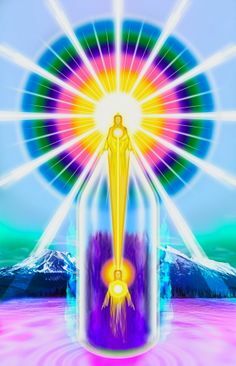 For those souls upon the Third Ray, their purpose is to reveal the Mind of God by demonstrating the interconnectedness of all ideas. In addition, this is the ray most associated with karma, for it holds the memory of what was, as well as what is to be. For this reason the primeval name used to identify this ray was The Keeper of the Recorders. The 4th Ray is the force that creates a sense of equilibrium and beauty in creation. Within the manifested universe, all existence is perceived dualistically. Indeed, all experiences can be seen in opposite ways. The function of this ray is to find balance and resolution to these warring dualities ever present within the human experience. People governed by the Fourth Ray tend to immediately see both sides of opposing perspectives and will persistently seek to harmonize them. The Beauty of Divinity is what is sought, for when harmony is achieved beauty emerges. Within all expressions of life there is a hidden seed of spiritual harmony, and it is this that the Fourth Ray soul yearns to find. For this reason, one of the ancient names for this ray is The Seed that is the Flower. The Fifth Ray is the ray that Clarifies Divinity through the pursuit of correct knowledge. Its role is to create within human consciousness the ability to discern Truth from fiction. Scientifically precise examination of reality gives clarity to what is observed in our world. The one whose soul is upon the Fifth Ray will often dedicate his/her life to finding solutions (truth) to the problems facing humanity. His/her spiritual purpose is to demonstrate that knowledge adds understanding to the nature of the Spirit underlying all that we witness in creation. In the archives this ray was called The Dispenser of Knowledge as a way of proclaiming its mission. This is the ray that brings vision and spiritual aspiration to humanity. Indeed, its mandate is to bestow theVision of Divinity to those receptive to it. During the last several centuries, this radiation has shaped into human awareness a yearning for the spirit within. It has lifted our eyes to upwardly gaze, and to know that something much greater than life (as we know it) awaits those who aspire toward the light within. People whose souls reside upon the Sixth Ray tend to devote their lives to ideals that have the power to lift humanity into the realm of Spirit. To them, the path to enlightenment is in letting go of human desire, for desire is recognized as an anchor preventing one from upward ascent. In primeval language, this ray was often called The Negator of Desire. The Seventh Ray is best known for bringing order out of chaos. Its purpose is to provide the energy needed to translate spiritual ideas into tangible realities. Through its influence the Manifestation of Divinity is made possible. This ray influences humanity to outwardly create according to divine intention. An individual with a Seventh Ray Soul is the true magician. He or she is naturally able create positive change in the world. This is achieved through the power of the spoken or written word, and the ability to build outer forms that can anchor profound spiritual principles. Such a person understands the magical power of speech as an instrument for creating new forms through which divinity can be express. It is therefore not surprising that the ancient name for this ray is The Keeper of the Magical Word. In Sanskrit, the names were written down in the following order: Sushumna, Harikesa, Viswakarman, Viswatryarchas, Sannaddha, Sarvavasu, and Swaraj. To apply the 7 rays of light, you need 3 things to harness your natural power: Love, Wisdom, and Compassion. You simply lead a life of awareness and harmlessness with the motivation to help others. The connection of the 7 rays of light and its meaning to man has coined the term “The Seven-Fold Nature of Man” and is harnessed through the 7 Chakras. Beginning in the late 19th century, the seven rays appeared in a modified and elaborated form in the teachings of Theosophy, first presented by H. P. Blavatsky. The Theosophical concept of the seven rays was further developed in the late 19th and early 20th centuries in the writings of the Theosophists C. W. Leadbeater, and by other authors such as Alice Bailey, Manly P. Hall, and others, including notably the teachings of Benjamin Creme and his group Share International; and in the philosophies of organizations such as Temple of the People. The “I AM” Activity. 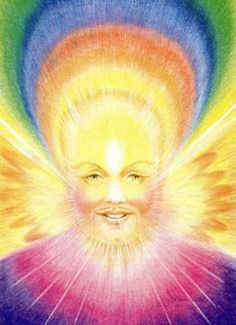 The Bridge to Freedom, The Summit Lighthouse, The Temple of The Presence (1995) and various other such organizations promulgating what are called the Ascended Master Teachings, a group of religious teachings based on Theosophy. As the New Age movement of the mid-to-late 20th century developed, the seven rays concept appeared as an element of metaphysical healing methods such as Reiki and other modalities,and in esoteric astrology. 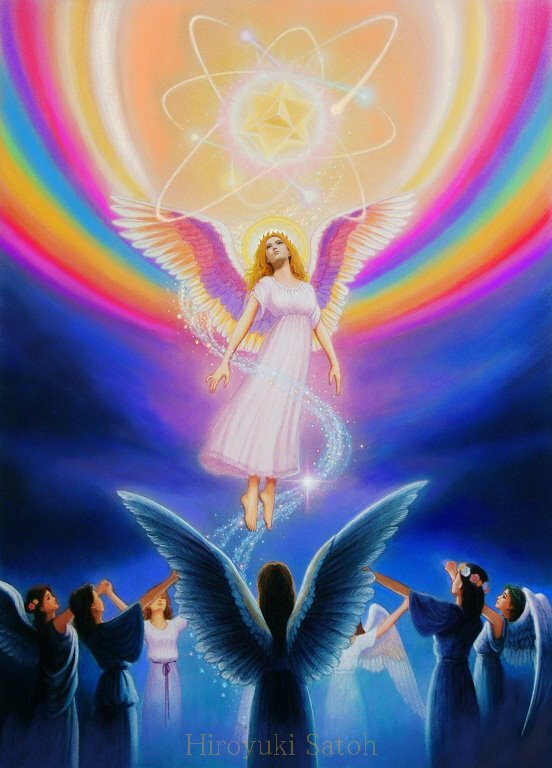 In the mid-to-late 20th century, as the New Age movement gained in popularity, the concept and imagery of the seven rays appeared in a variety of settings. In esoteric astrology, the seven rays are considered to be split into three groups: the first two rays represent Will and Wisdom, respectively, and the remaining five rays together form the group that represents Activity. In a style of Reiki adapted by Carolyn E. Jackson the student passes through a sequence of levels by mastering the “key” to each level. The key for the second level is known as the key of “oneness” and is attained by passing through each of the seven rays. This, however, is not part of traditional Reiki or other versions of the Reiki system. In recent years, there was the creation of a secretive group named “The Keepers of the Seven Rays”. Their philosophy is the human being has seven emanations in which it finds itself, or connects with the Higher Self. These emanations are extensions of the Higher Self or otherwise called the Higher Will. These emanations reach out like arms and grasp onto the knowledge(of all types) needed for the full development of the individual into his/her Higher Potential. All a human has to do to use these emanations is to know basic moral law, what their body and/or psyche can and cannot handle, and listen. Metaphysical philosopher Gurdjieff writes frequently of his “Seven Rays of Creation”. According to Gurdjieff, the Seven Rays of Creation are the seven manifestations of Energy in our Universe. The first Ray contains all things (THE ENTIRE UNIVERSE) and all things obey the laws inherent in the First Ray. The First Ray then manifests itself in the 2nd Realm, the realm of Galaxies. From Galaxies to Solar Systems, Solar Systems to Planets. From Planets to Organisms on the planets, etc….